for $376,900 with 4 bedrooms and 3 full baths. This 2,757 square foot home was built in 2018 on a lot size of 0.2600 Acre(s). 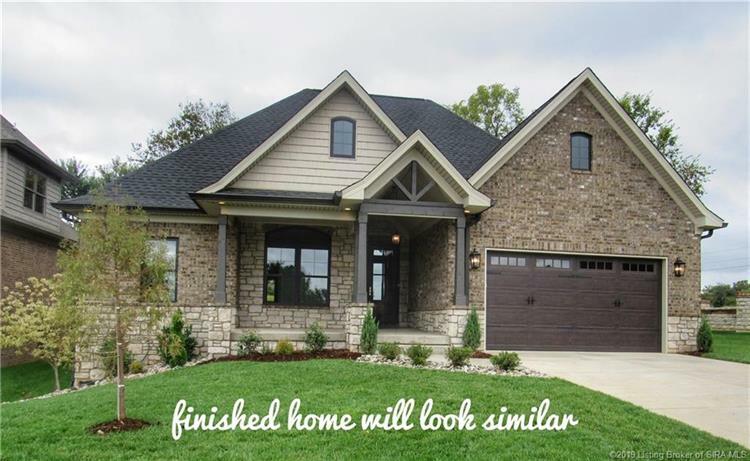 The Lillian by Millennium Builders is specially designed for Southern Indiana's hottest new development, THE RIDGES OF OLD SALEM. Ideally located, just three minutes from the NEW EAST END BRIDGE, the home sits on a large lot with WOODED BACKDROP and offers ELEGANCE at every turn. 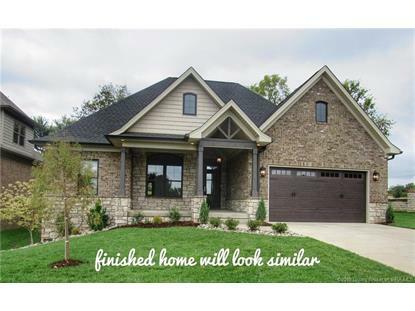 This 4 bed, 3 bath English Cottage Style home boost TONS OF CURB APPEAL offering custom wood columns and front porch to greet you. When you enter, the 12 FOOT COFFERED CEILINGS, oversized windows, wood floors and OPEN FLOOR PLAN take your breath away. The eat -in gourmet kitchen features a large WALK-IN PANTRY, custom cabinets, GRANITE countertops, stainless appliances, OVERSIZED ISLAND. The luxury continues in the master suite, with vaulted ceilings, large SOAKER TUB, custom glass shower, dual granite vanities, and HUGE WALK-IN CLOSET. The split floor plan also provides a, large laundry room with duel access, full bath and two other bedrooms on main level. The FINISHED LARGE BASEMENT features a large family room, 4th bedroom, full bath and plenty of storage! I265, River Ridge Exit right towards Utica, neighborhood in one mile on the right.